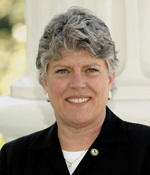 The California Legislature proclaimed June 2010 as LGBT Pride Month and celebrated the LGBT Community’s past accomplishments and contributions at a ceremony hosted by the Legislature's LGBT Caucus on Monday, June 14. The Assembly used the occasion to honor eight LGBT individuals and the Prides of Los Angeles and San Francisco on the occasion of their 40th anniversaries. The honorees were selected from across the state for their lifetime contributions and accomplishments in creating a better future for California and the United States. With 43 percent of the vote, self-described Proposition 8 author, Andrew Pugno, has won the Republican primary and will face off against Democrat Dr. Richard Pan for California's 5th Assembly District in what both sides anticipate will be a tough race for the open seat of this once solidly Republican district east of Sacramento. Pugno won the race after raising more than $350,000 dollars using the Protectmarriage.com's Yes on Prop 8 contributors list shortly after the anti-marriage equality initiative passed. Leaders of the Mormon Church "failed to timely report making late non-monetary contributions" to the Yes on Prop 8 campaign, an amount totaling $36,928, according to the June 10, 2010 finding by California's Fair Political Practices Commission (FPPC), announced at the commission's meeting Wednesday in Sacramento. The commission's enforcement included levying a 15% punitive fine against the LDS organization, totaling $5,539 dollars. Our Sacramento Pride Issue is out now!